D. Stephen Pepper, Guido Reni: A Complete Catalogue of his Works with an Introductory Text. New York 1984, p. 262, s.v. cat. no, 126, as a copy. 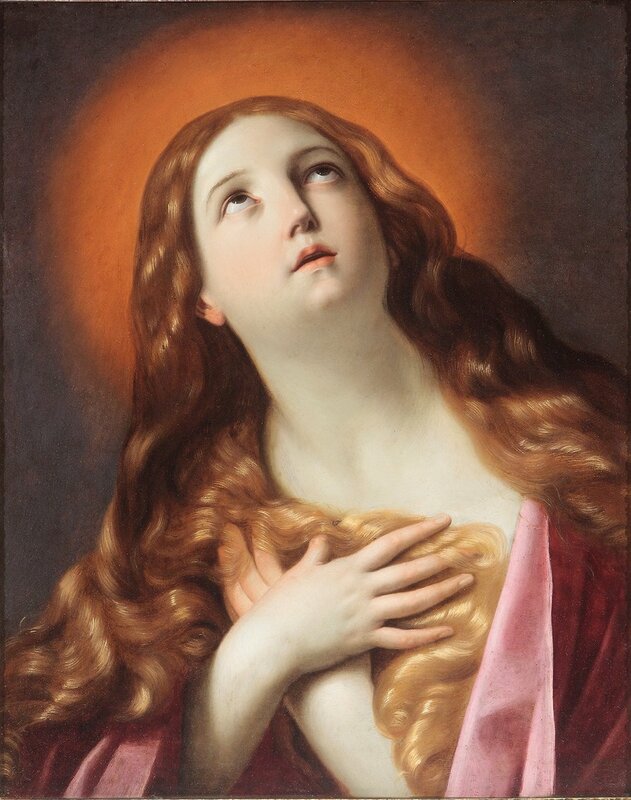 The Penitent Magdalene was a favorite subject of Guido Reni’s, but his many treatments of the theme, combined with their frequent replication by followers and copyists, makes tracing a painting’s provenance through inventories and sale records problematic. Nonetheless the history of the present work can be followed with some certainty as its size and copper support help to distinguish the work from other paintings by or after the master. Altro quadro alto palmi trè ¼ largo palmi due e mezzo, rappresantante una Madalena, con Cornice dorata, et intagliata da Guido. The given dimensions of 3 ¼ x 2 ½ palmi correspond to 73.1 x 56 cm. Philippe Costamagna, “La collection des peintures de une famille Florentine établie à Rome: L’inventaire après décès du Duc Anton Maria Salviati dressé en 1704,” Nuovi Studi, Vol. VIII (2000), p. 193, no. 110, p. 223n.201. 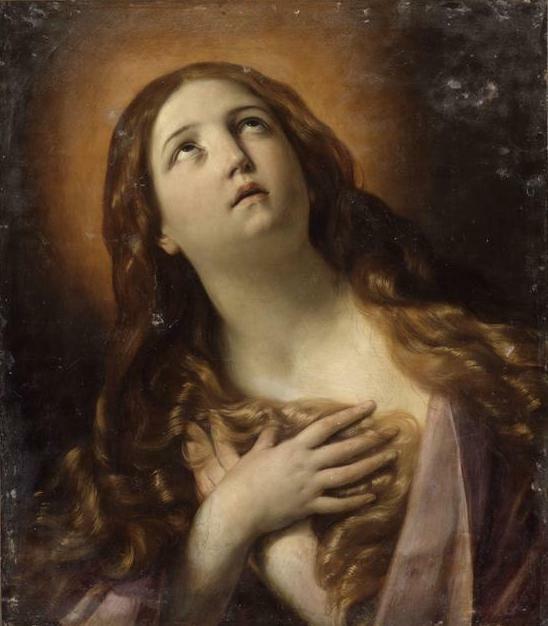 Previously it had been suggested that the present painting was one mentioned by Malvasia (Felsina Pittrice.Bologna 1678, II, p. 31) in the collection of Cardinal Girolamo Boncompagni and later in the Zambeccari collection. That painting, inventoried in Boncompagni’s 1684 inventory, is mentioned in the eighteenth century by Oretti as still being in the Zambeccari collection, and thus cannot be the painting in Anton Maria Salviati’s 1704 inventory. Cf. Raffaella Morselli, Documents for the History of Collecting: Italian Inventories 3, Collezioni e quadrerie nella Bologna del Seicento. Inventari 1640-1707 (Los Angeles: Getty 1998), pp.106. f.45, nos. 1-2. and Marcello Oretti ei il Patrimonio artistico private Bolognese, ed Emilia Calbi and Daniela Scaglietti Keleschian (Bologna 1984), p. 161, [a]57/1.